A look at why Miami’s housing and building market continues to boom. When is the last time you’ve taken a close at the Miami real estate market? If we look back, you’ll notice there’s been a slew of positive activity happening lately. Massive growth of luxury high-rises by some of the widely acclaimed names in the field of architecture has been noted during the past ten years and there doesn’t appear to be any signs of slowing down on the horizon. The Renzo Piano building, for example, has generated headlines and tremendous coverage for its posh penthouse commanding a $68 million asking price. The late Zaha Hadid’s highly anticipated One Thousand Museum has asking prices starting at $5.8 million and peaking at around $21 million. South Beach’s Monad Terrace by Pritzker Prize winner Jean Nouvel will have residences ranging between $1.7 million to $12 million. With so much activity going on, the question may turn to what drives so many to consider Miami. 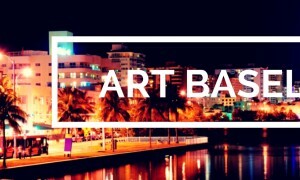 Its prime location and agreeable weather are certainly important factors in drawing wealthy clientele to the “Magic City” while also serving as an inspiration to the many architectural heavyweights that have chosen Miami. Despite the proliferation of high-rises, Miami still has plenty of vertical real estate available for designers to use a blank canvas for the next major architectural tour de force. Also worth noting is the EB-5 visa program which rewards foreign nationals that invest at least $500,000 in a U.S. based project by giving them green cards and visa provided the project they invested in is indeed complete. This program is playing a major role in the growth of the Miami luxury real estate market. In fact, a Miami Herald article showed funding for Florida projects generated from EB-5 visas saw an upswing from $10.5 million in 2011 to just over $150 million a mere two years later in 2013. It’s not just new luxury developments that are drawing all of the attention, either. Current buildings are also seeing considerable demand. Famed architect Piero Lissoni took the classic building that once served as the home of the Miami Heart Institute and reinvented it as the new home of the upscale Ritz-Carlton Residences. The residential project is Lissoni’s first in the United States. Because the existing building had restrictions mandating that only half of it could be demolished, there was lots of creativity involved in working around the limitations. And yet considering just how profitable a single luxury condo is in Miami’s current market, the project was more than worthwhile. Upon completion, the Ritz-Carlton Residences will be comprised of 111 elegant condos and fifteen standalone villas. Even as Miami’s luxury real estate market skyrockets, the neighboring areas are seizing upon the momentum. For example, a commercial brokerage concentrating on emerging markets picked up a pair of warehouses in the Little River neighborhood near Miami Beach with plans to convert it into business space. Instead of the typical office space, the spaces will likely consist of a loft style/open format to attract the attention of tenants such as art galleries, e-commerce businesses, recording studios, tech companies, entrepreneurs and more. ** This update is by The Jills team which includes Jill Eber, Jill Hertzberg, Danny Hertzberg, Hillary Hertzberg, and Felise Eber. Call 305-341-7447 for more information about The Jills team, Miami Beach real estate, or the many beautiful homes in Miami. 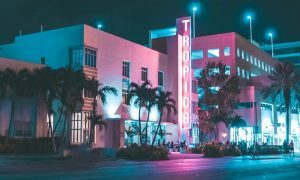 As one of the most talked about and stylish cities in all of the southeastern United States, Miami provides a wealth of things to see, do, and explore.